EA has just announced the third expansion pack for the Sims 3, called Late Night. Sounding much like a remake of Nightlife for the Sims 3, the new pack will introduce hot tubs, vampires in a "vibrant, active downtown scene." Sims can become a local celebrity, member of a music band, mixologist, director and more. Rod Humble also said there will also be some new building tools. The pack will be out this autumn. Read on for the full press release and product description. Below you can also get a video and several screenshots. The Sims 3 Late Night Expansion Pack Gives Players VIP Treatment In A Dynamic Urban Setting Filled with High Rise Homes, Parties, Celebrities, Bars... and Even Vampires! GUILDFORD, UK., July 20, 2010 - The Sims players will soon have a reason to stay out late on the town! The EA Play Label of Electronic Arts Inc. (NASDAQ: ERTS) today announced The Simsâ„¢ 3 Late Night Expansion pack* is in development and will hit store shelves worldwide this fall. The newest expansion to The Sims 3, the best-selling PC game of 2009**, The Sims 3 Late Night gives players all-access and lets them loose on a vibrant, active downtown scene where they'll rub elbows with celebrities at the hottest parties, hit the local bar after work, tour the scene with their Sims' band, kick back in a plush hot tub, and discover whatâ€™s lurking as the lights go out and adventure begins after dark. "The community has been very vocal about unleashing their Sims in more interesting and unpredictable social situations," said Scott Evans, General Manager of The Sims Studio at EA. 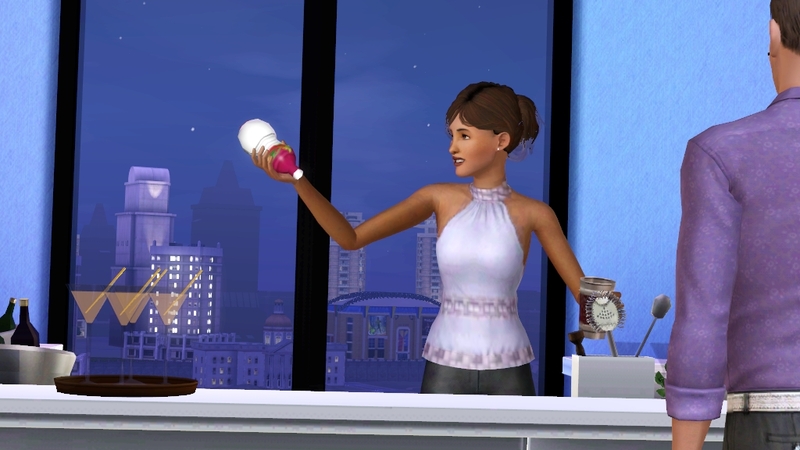 "The Sims 3 Late Night is full of ways to approach a rich, new life beyond a Simsâ€™ normal day, such as schmoozing with celebrities on the rooftop of a skyscraper, wooing the crowd with your Simâ€™s band, or being the best bartender in town at the hottest new lounge." Players will be able to take their Sims into the bustling urban setting where theyâ€™ll be able to become a local celebrity, member of a music band, mixologist, director, and more. To gain entrance into the most elite clubs in town, players need to keep their attitude in check otherwise theyâ€™ll be given the cold shoulder by tough bouncers or find another way onto the list. If chilling is the playerâ€™s forte, their Sims can lounge at a chic club or dive bar or if they like to live on the edge, they can discover the secret of becoming a vampire. Whether embarking on a new career, painting the town red, or throwing a party on the rooftop of a penthouse, itâ€™s always up to the player to tell their unique stories with The Sims 3. What will happen when the lights go out and Sims get all access? For more information about The Sims 3 Late Night or The Sims 3, please visit www.TheSims3.com. Developed by The Sims Studio, The Sims 3 Late Night for PC/Mac has not yet been rated by PEGI. Join more than one million The Sims fans on Facebook by visiting the official fansite page for The Sims 3 at http://www.facebook.com/TheSims3. 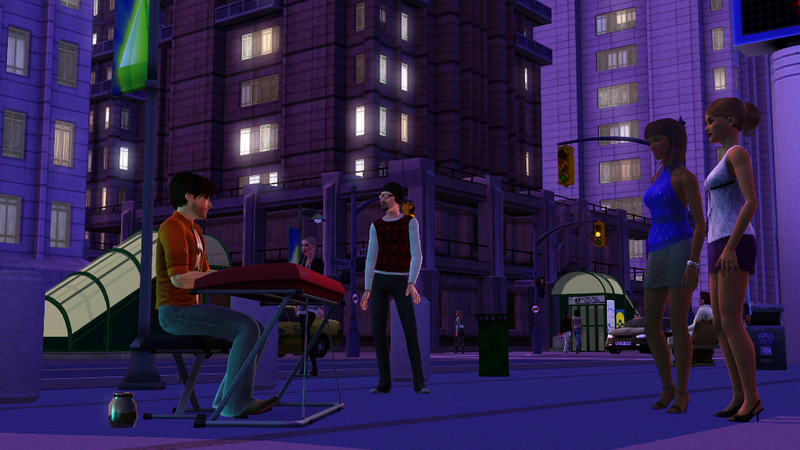 The Sims players will soon have a reason to stay out late on the town! The EA Play Label of Electronic Arts will release this fall The Simsâ„¢ 3 Late Night Expansion pack*, the newest expansion to The Sims 3, the best-selling PC game of 2009**. The Sims 3 Late Night gives players all-access and lets them loose on a vibrant, active downtown scene where theyâ€™ll rub elbows with celebrities at the hottest parties, hit the local bar after work, tour the scene with their Simsâ€™ band, kick back in a plush hot tub, and discover whatâ€™s lurking as the lights go out and adventure begins after dark. Players will be able to take their Sims into the bustling urban setting where theyâ€™ll be able to become a local celebrity, member of a music band, mixologist, director, and more. To gain entrance into the most elite clubs in town, players need to keep their attitude in check otherwise they'll be given the cold shoulder by tough bouncers or find another way onto the list. If chilling is the playerâ€™s forte, their Sims can lounge at a chic club or dive bar or if they like to live on the edge, they can discover the secret of becoming a vampire. Whether embarking on a new career, painting the town red, or throwing a party on the rooftop of a penthouse, itâ€™s always up to the player to tell their unique stories with The Sims 3. What will happen when the lights go out and Sims get all access? Unleash your Sims in more interesting and unpredictable social situations! Schmooze with celebrities on the rooftop of a skyscraper, woo the crowd with your Sims's band, or be the best bartender in town at the hottest new lounge. Written at 23:46 on Tuesday, 20 July 2010 by ChEeTaH.